C101: How did you decide to create candles for the first time? My wife told me “no way, this is too much work.” So I went behind her back, like she does to me all the time, and I ordered some candle-making supplies online. I made our first batch of candles and everyone loved them. We sold out. Every time we’d make them, we’d sell out. C101: What inspired you to create roller coaster candles? BR: I have a relative that’s retired from Cedar Fair, and I’ve been around Cedar Point for 40+ years, ever since I was in a stroller. We were always at Cedar Point, because my relative was in management there. He has nothing to do with us getting in with candles, but I’ve just always had memories of Cedar Point. We live out on Lake Erie, and we started making fun nautical candles, almost a souvenir candle that was themed. 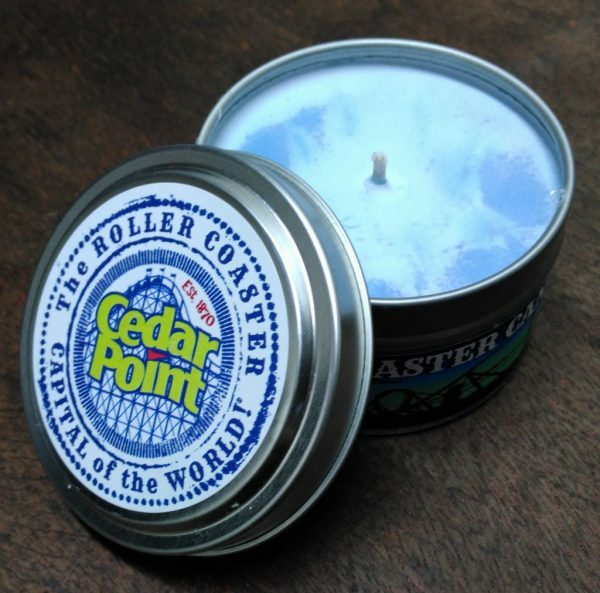 One day I was driving down the highway, not sure why I was thinking about Cedar Point, but the “Cedar Point Coaster Candle” popped into my head, and I just started thinking about how to turn a roller coaster into a souvenir candle with different scents. C101: How do you create a unique scent for a roller coaster? BR: We come up with scents from memories. We think about how it ties in. Say we were doing “The Beast” candle, so we’d think about a smell that’s heavy and beastly, kind of manly, and that’s how we decide our scents. 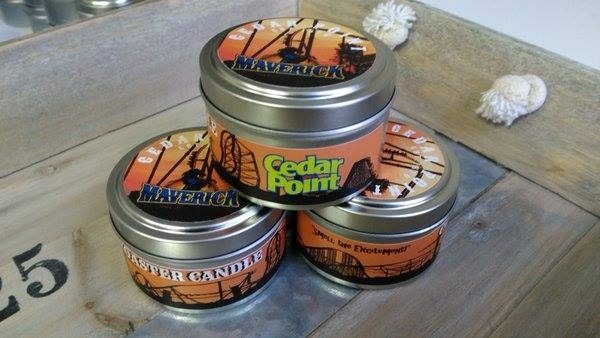 C101: How did you get linked up with Cedar Point to sell candles with their coasters’ likenesses? BR: He looked at me square in the face, and said “that’s a hell of an idea.” He told me to shoot him and email, and he’d send it over to Cedar Point. 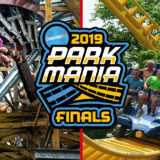 We had a response back from Cedar Point merchandise within an hour of that email being sent, and they loved the idea and wondered how fast we could get to the park. It was right place, right time, kind of a fluke, and next thing you know, my wife and I are sitting in the board room at Cedar Point with the merchandise department, and they were already placing orders. 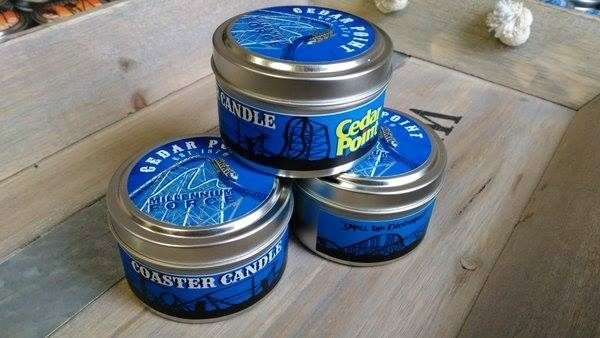 C101: Have the Cedar Point candles been successful sellers? BR: They’ve been really successful. We had a really good sell through in the gift shops and the exit shops, and we’re expanding in the park this year for the 2017 season. We don’t have anything new on the books yet this year, but one candle, our Campground Candle, we’re changing this year. We do three hotels plus a campground candle, plus six or seven different coaster candles. C101: Of the coaster candles you make, what is your favorite scent and why? BR: I like the Valravn candle myself. It’s a deep, kind of spooky, and it’s a dark scent. My next favorite would be Maverick, which was the number one seller in the park, and we sold almost 100% of those that we made. 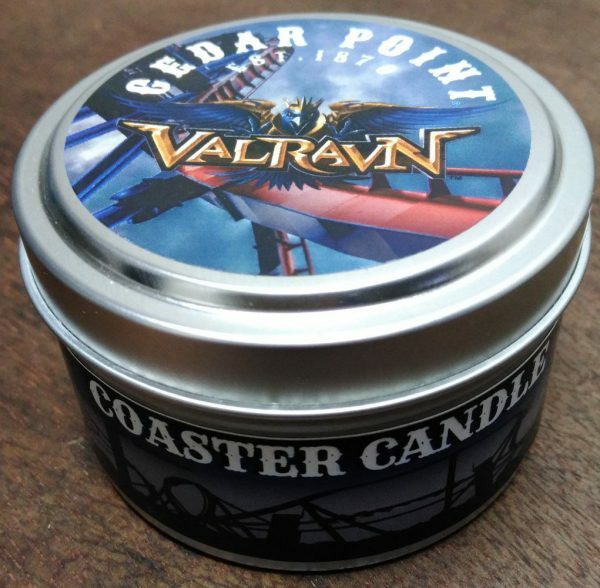 C101: Do you have plans for the next coaster that you hope to create a candle for? We have some Boysenberry candle samples that just went out to Knott’s Berry Farm, which we hope they’ll love, we might have something cooking at Worlds of Fun, but nothing is etched in stone yet. 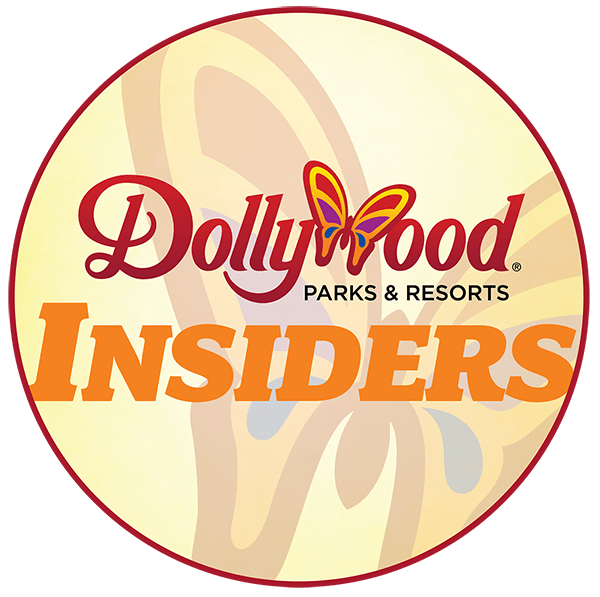 C101: Are there plans to expand to other theme parks? BR: We would love to expand, but were a small “mom-and-pop,” so we don’t want to grow too fast too quick. So if we can pick up another park, and we can handle that, then we can grow accordingly. But I don’t want to get bombarded by all the parks saying “holy moly, make us candles, make us candles” at once. 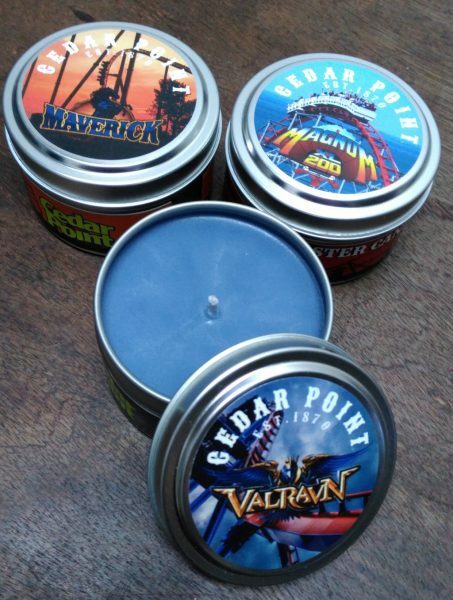 C101: Are you sticking with Cedar Fair parks or would you be interested in creating candles for other parks as well? BR: We can do any park, we don’t have to stick with Cedar Fair. But, we’re already “in” at the biggest Cedar Fair park merchandise-wise – they’re the #1 producer of merchandise in the chain. C101: And the question we ask all of our interviewees, What is your favorite roller coaster? BR: Our favorite ride right now is Rougarou, we can’t get enough of that. We love Valravn too. C101: Anything else you’d like our readers to know? BR: Justin over at CPFoodBlog was one of the first to pick us up, even before the park opened last year, and it really opened some doors for us. 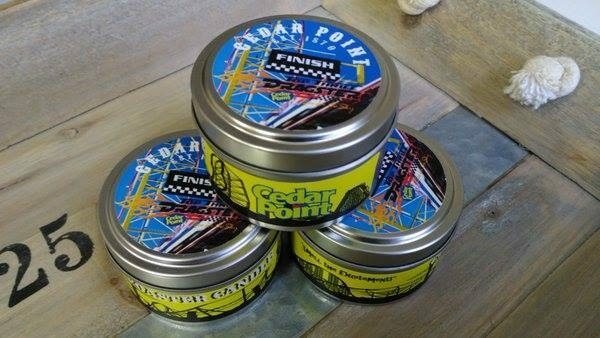 Even Cedar Point took notice and said “Holy cow, the bloggers are already picking this product up. It was really cool, and while we’re a “mom-and-pop,” Cedar Point is trying to deal with more “mom-and-pops” because it’s made in the US, and we’re really close by. That’s what really cool about Cedar Fair, they’re going back to the little guys and we’re getting more recognition in the park. More local people are recognizing us. In Port Clinton, where we live, people know “hey that shop is the one that makes stuff for Cedar Point,” and it softens the relationships with a big corporate conglomerate in the area. Thanks to Bill for his time. Be sure to check out the coaster candles by visiting the Northern Exposure Gallery and Candle Co. Website! You can also follow them on Facebook and Twitter! Want your own Coaster Candle? Northern Exposure was kind enough to provide a few candles for us to give away to our readers. 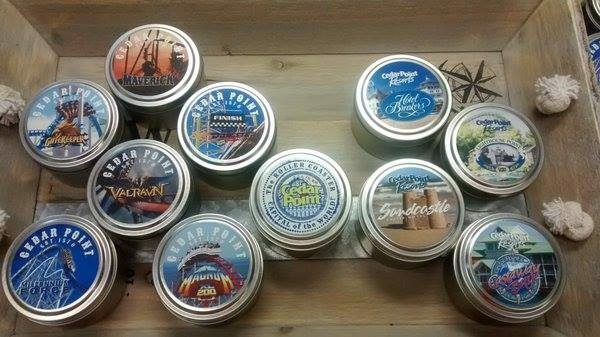 You can win one by commenting below and telling us a roller coaster that you think would make a great candle, and what it would smell like! We’ll select a few of our favorites to win on Wednesday, February 8! Winners have been notified by email. Thanks everyone for participating. Be sure to check out Northern Exposure Candle Co. to get your hands on your own Coaster Candle! Tags: candlescedar pointcoaster candlesinterviewnorthern exposure candle co.
Fury 325 candle. Maybe smell of a honey scent. Not really sure. Raptor, I’d go with a nice crisp woodsy scent. I want a Giant Dipper candle that smells like the skid brake grease in the station. Mmmmmm. I love The Beast candle idea! Kinda more like a heavy woods scent. Raptor with the scent of mint. I’ve always thought mint had a strong and aggressive smell to it. I believe Raptor is the most aggressive coaster in the park. Both mint and Raptor are green… it’s a match made in heaven. Banshee at Kings Island. Give it a pumpkin spice smell to go along with the spooky/Halloween theme the rise has. Skyrush: a breezy, cool smell. Kind of like a beach smells. I think that rmc meanstreak should get a candle and the scent would be cherry to go with its track color. I would live a candle themed to Blue Streak! Have a nice fresh roller coaster grease smell! It would be the essence of a real enthusiasts house! A Vekoma SLC candle! It would stink! A Twisted Colossus candle! It would be a blue and green swirl and have a twisted fruity smell. A formula rossa candle! It would be white and burn out in a second! It would smell like burnt tires. I really love that manly scent idea for The Beast. I also think a Diamondback candle would be cool. I’d give it a southwestern desert, snake-like scent. And the scent would have to be bold since Diamondback is Kings Island’s “tallest, fastest, and meanest” coaster. A secondary idea would be an industrial, but mysterious scent for Flight of Fear. A hershey park Fahrenheit candle!! It would smell hot and spicy like a pepper! A wild mouse candle! It would smell like mouse poop. A Manta candle! It would smell like the beach or ocean! A Dragon Challenge candle! It would smell like butterbeer! Are you going to email the winners? 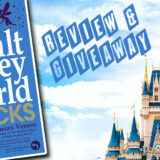 Winners have been notified by email. Thanks everyone for participating! Some great ideas!